Bradley Cooper had a super-special date on Sunday night. No, it wasn’t his girlfriend, Irina Shayk (she was in Russia for a work event, according to Entertainment Tonight); it was another special someone from his life. 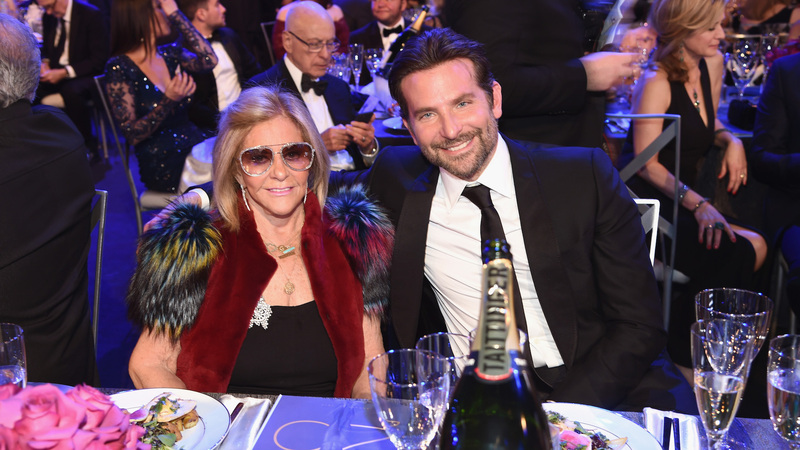 Cooper brought his mom, Gloria Campano, to the 25th Annual Screen Actors Guild Awards, which is honestly adorable. Both Cooper and Campano were dressed to the nines for the event, with Campano rocking some sparkling sunglasses. The pair sat with Cooper’s fellow A Star Is Born castmates after posing for photos on the red carpet and being generally a great mother-son duo. Cooper’s directorial debut, A Star Is Born, was nominated in four categories at the SAG Awards. In addition to an ensemble nomination for outstanding performance by a cast in a motion picture, Cooper was nominated for outstanding performance by a male actor in a leading role. Plus, Cooper’s costars Lady Gaga and Sam Elliott were nominated for outstanding performance by a female actor in a leading role and outstanding performance by a male actor in a supporting role, respectively. Unfortunately, despite A Star Is Born‘s leading number of nominations and Campano’s presence in the audience, the stars went home empty-handed. Cooper, Gaga, Elliott and Rafi Gavron still took the stage to present their film, per SAG Awards tradition, but the snubs continue for this classic film remake. Regardless, Cooper’s passion for the project seems to be holding strong. Ahead of the SAG Awards, Cooper flew to Las Vegas to join Gaga for a surprise live performance of “Shallow” from the A Star Is Born soundtrack, according to People. The track has already won a Golden Globe for best original song and is nominated for two Grammys as well as an Academy Award. Even without taking home SAG Awards, there are still plenty of opportunities for Cooper and Gaga to bring home more trophies. Awards season isn’t over yet.